April Fools’ Day is still a few days away, but it looks like T-Mobile is getting in on the “holiday” a little early. T-Mobile today announced Phone BoothE, its modern take on the phone booth. Many people nowadays have their own phone, but talking on it while you’re out and about can be difficult because of all the noise happening in the outside world. Phone BoothE aims to help by giving you a private place to take your call in peace. The Phone BoothE is a soundproof, vertical rectangle that you enter by using your T-Mobile phone and the Phone BoothE app. Once inside, you can plug your phone into power and use Magenta Pages, a large vertical screen that connects to your phone and lets you browse the web and take video calls on a big screen. You can also use that big screen to set a background of your choice, like a cityscape or landmark, and snap some selfies to post online. 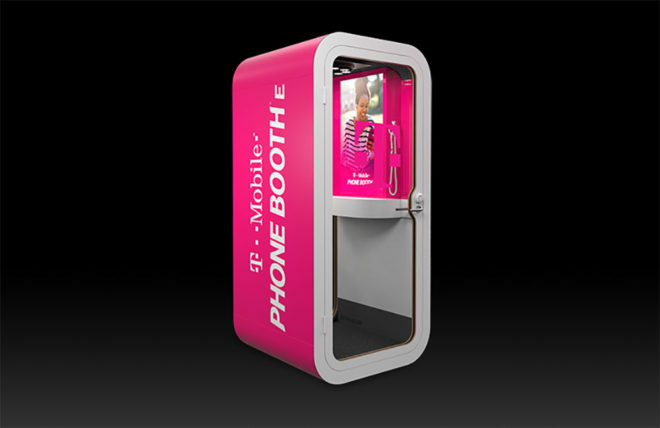 T-Mobile says that it’s placing Phone BoothE booths around New York City, Washington D.C., and Seattle. Everyone will be able to access the Phone BoothE during the preview weekend, but eventually it’ll only be available to T-Mobile customers who have the Phone BoothE app. While T-Mobile doesn’t directly say that this is an April Fools’ Day joke, the image URLs on T-Mo’s website do include the phrase “aprilfools”. The idea of having a quiet place to take a phone call or charge up your phone around the city is something that’d likely appeal to a lot of folks, though. Jinx! Also, I have a great idea for that. It would protect endangered animals and increase revenue for local gov’ts…tweaker hunting passes. Like $5k per pass. This will work, trust me. This would actually be kind of cool as a concept, especially if the charger was QC compatible (get like 10%+ in a 5 min)….if it weren’t for the inevitable destruction by tweakers and vandals. People are terrible. This. 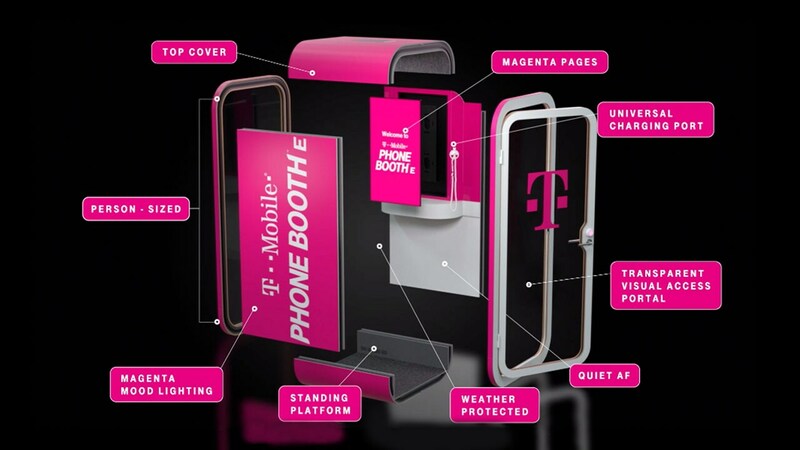 T-Mobile could offer phone charging, and WiFi hotspot + 5G microcell. It also increased brand awareness, because people will see it every day. In NY booths will always be taken by either homeless sleeping contorted or by hookers servicing their johns. You know it’s real because we tacked an E at the end… WOW!!! This is the lamest attempt at an April Fool’s gag! FAKE N3WS!